5Star Game Copy seamlessly combines powerful and sophisticated "Under-the-hood" technology with an incredibly easy to use interface. The application integrates several varied backup techniques into a single utility, which manages to copy even the discs that other programs simply cannot. · An "Advanced Copy" dialog, which allows you to change or add files while in 1:1 (direct) copy mode. · An integrated copy protection scanner. · An Intelligent Copy Mechanism, including DPM Mode?, fast skipping of damaged sectors, EFM optimization to copy 'weak' sectors and RAW Copy Mode?. 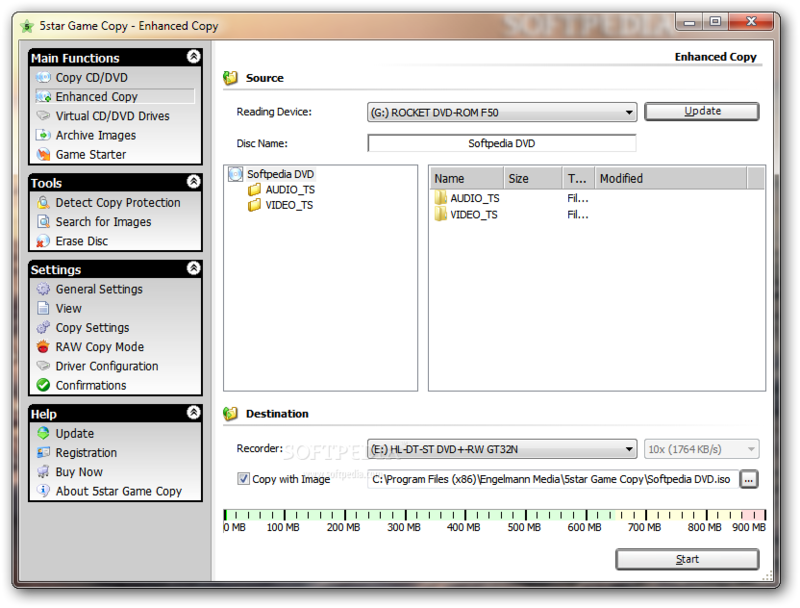 · HideATIP, which prevents the game from detecting that the disc is a copy. · One included virtual drive, with wide support for an alternative third-party drive instead. · Multiple Image Archiving: Since most discs are only really used during installation, a lot of space is wasted in storing them on the hard drive. With this feature, you can store several games on a single DVD as well as other files, such as updates/patches and serials, effortlessly. You can even launch or install directly from the archives!